One Asks Money For His Daughter, The Other To Buy Drugs: The Reaction Of People Passing By Is Staggering ! Here's a curious experiment with a not so obvious outcome and taking a rather paradoxical turn. 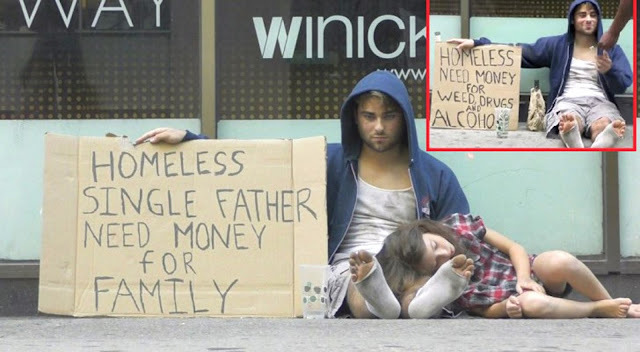 A man asks for money on the street showing two different signs: one asks for money to buy drugs and alcohol, another to feed his daughter. At the end those surprised by the sincerity of the first sign are much higher and will leave money. Isn't this absurd?